Light and breezy game day or any day dress! 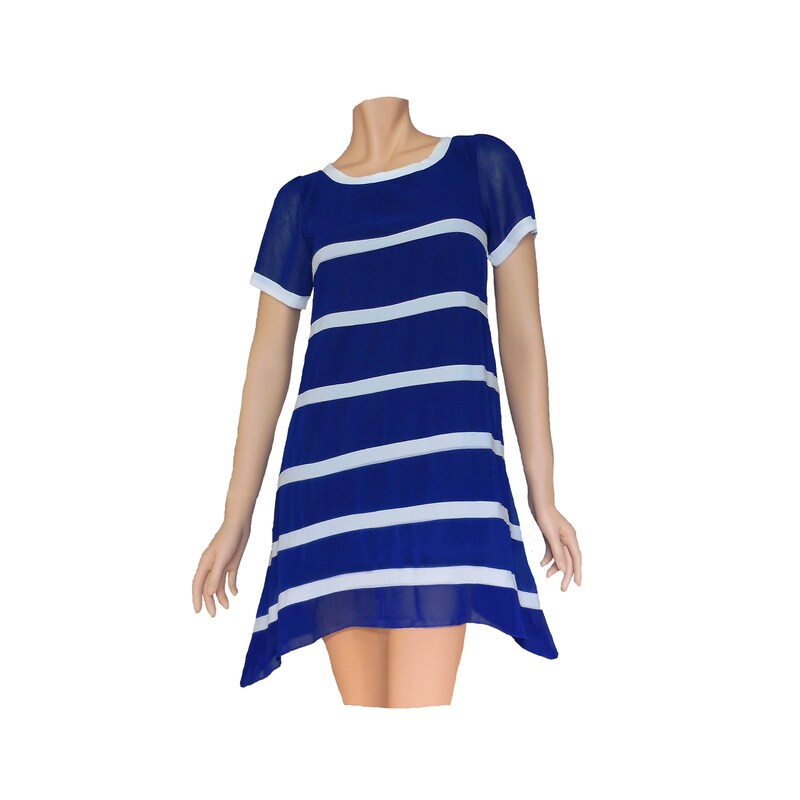 Lined blue and white chiffon pullover dress with high-low hankerchief hemline. Side length- 37", front and back length- 30". Sizes: XS (0-2), S (4-6). 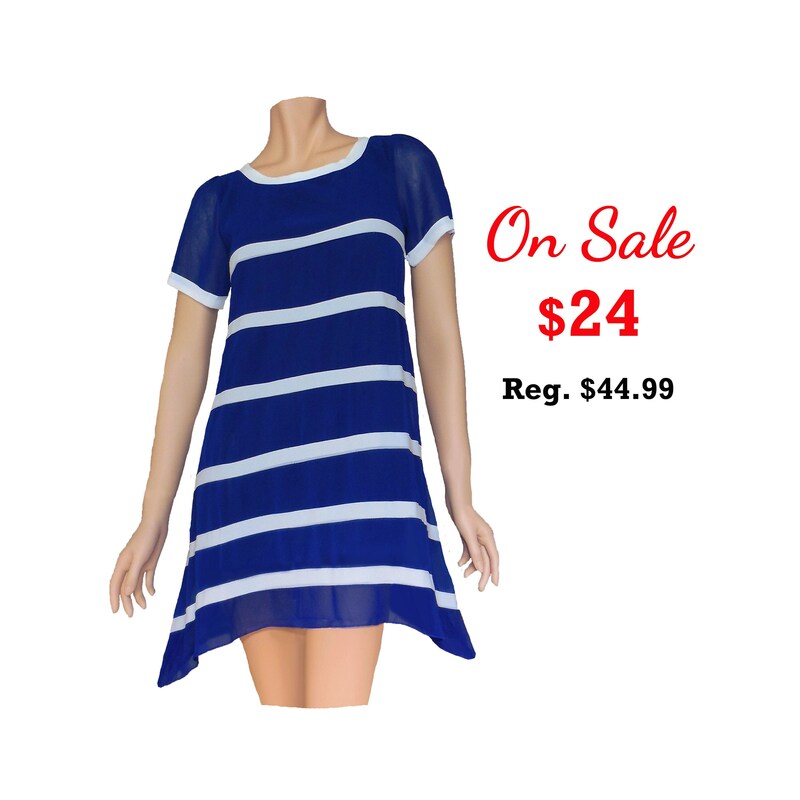 On Sale $24 (Reg. $44.99).